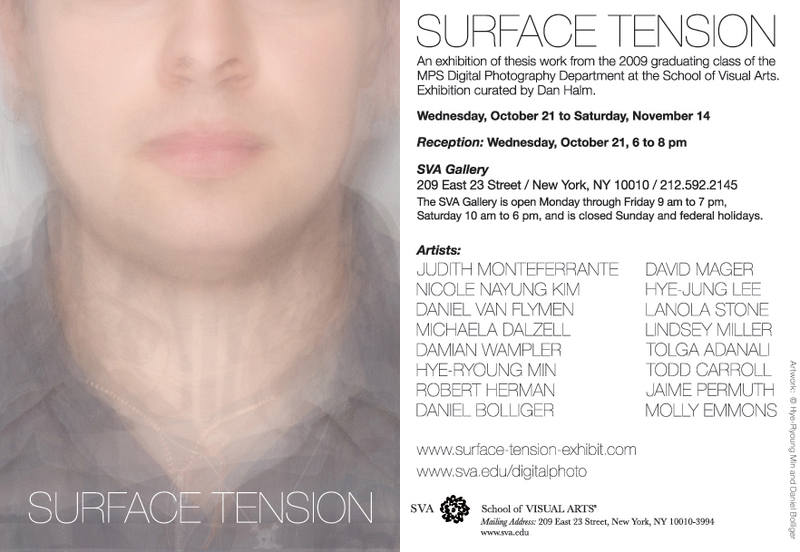 SVA’s MPS Digital Photography Thesis Exhibition, Surface Tension, was held in the SVA Gallery at 209 East 23 Street, New York, NY. View a gallery tour and meet some of the artists. This entry was posted on Monday, December 14th, 2009 at 6:43 pm and is filed under Digital Photography, School of Visual Arts, SVA. You can follow any responses to this entry through the RSS 2.0 feed. You can leave a response, or trackback from your own site.